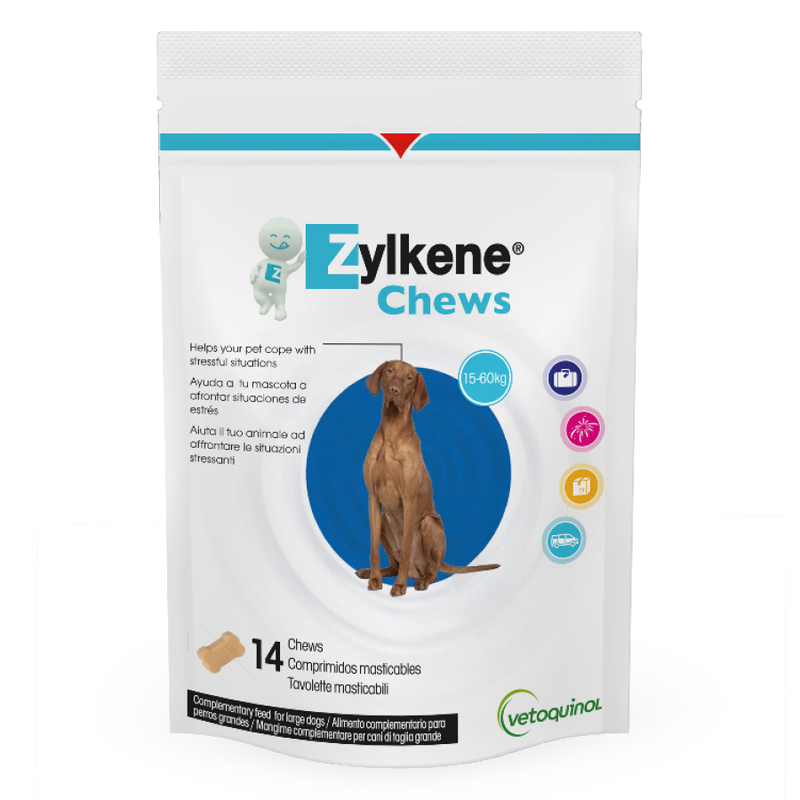 Zylkene® chews are tasty treats that help dogs cope with stressful situations. A calmer pet is less likely to develop undesirable behaviors. Zylkene® is the first milk-derived nutritional supplement with clinically proven calming benefits. The chews are exclusively offered in veterinary clinics. Alpha-casozepine in a tasty treat to help dogs cope with stressful situations and facilitates prevention of unwanted behavior. Alpha-casozepine* promotes and enhances relaxed behavior in pets. It is an ingredient derived from a milk protein which has calming properties. Learning new behaviours is easier in a relaxed animal. Below are some recent questions we've received regarding Zylkene Chews, including answers from our team. 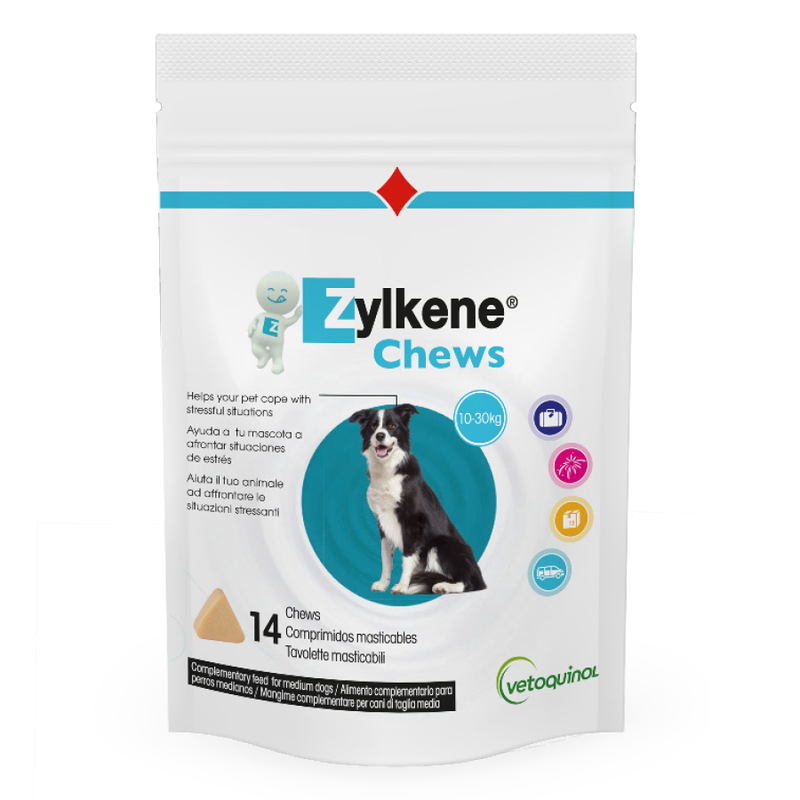 As Zylkene® is a milk-derived nutritional supplement, we would not recommend feeding it to a dog with a milk allergy. Does this contain chicken or beef? 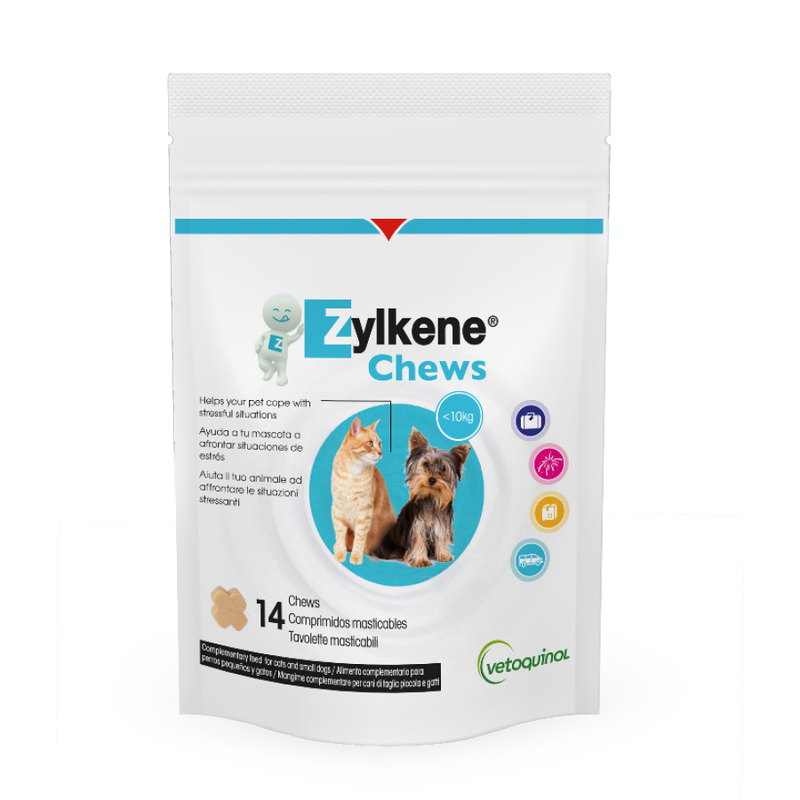 Zylkene does not have any chicken or beef in it, it is an ingredient derived from a milk protein. There are 3 different sizes of chew 75g, 225g and 450g. Is there a recommendation for dog weights to go alongside each chew size? These are for under 10kg, 10-30kg and 15-60kg.